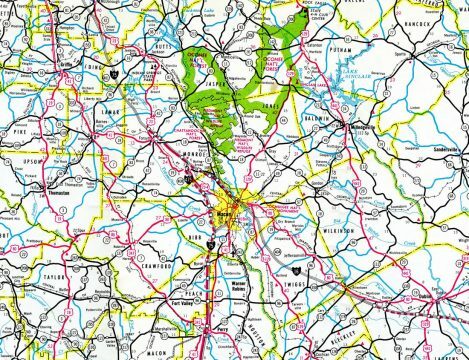 The Interstate 475 designation was originally slated for metropolitan Atlanta along a north-south freeway running from Interstate 75 at Stockbridge to I-285 at Sandy Springs through Atlanta. The southern and northern segments of Interstate 475 were constructed as Interstate 675 and Georgia 400 respectively. 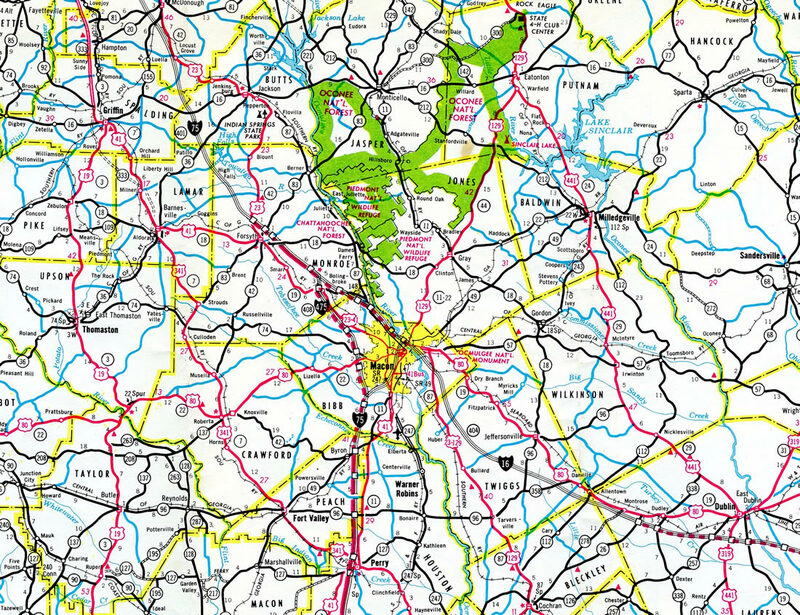 The central segment, which later was rescinded into a loop from Downtown to Buckhead as I-485, was never constructed due to community opposition. Interstate 475 was under construction simultaneously with Interstate 75 leading south from Bibb County to Georgia 49 at Byron in 1964. Long since replaced, this shield assembly preceded the diamond interchange along Georgia 74 (Thomaston Road) west at Interstate 475. Photo taken 12/15/01. Shields that were posted along U.S. 41 & Georgia 19 (Dixie Highway) north at the loop ramp for I-475 north to I-75 north at Bolingbroke. Their replacement omits the trailblazer for I-75. Photo taken 12/15/01. "I-475 Noise Concerns Residents DOT Hears Concerns About Interstate Widening Project." Macon Telegraph, April 15, 1998. "Interstates Overhaul Planned for Macon." Macon Telegraph, April 15, 1998. "I-75 exit to I-475 at Hartley Bridge opens." Macon Telegraph, July 10, 2009.